If, like many of our policy and political elite, you have also been seduced by the siren call of health care "innovation" as a cost-saving panacea for the United States, you may want to check out this JAMA Viewpoint. 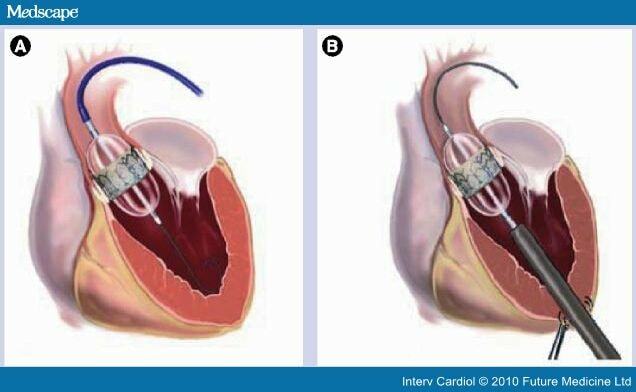 "Transcatheter aortic valve replacement" (TAVR) was supposed to be a less invasive and presumably safer and cheaper alternative to open heart surgery or "surgical aortic valve replacement." Prospective clinical research trials demonstrated that TAVR was an option for small numbers of persons who may be too frail to tolerate open heart surgery. Academics and regulators anticipated that TAVR use would be limited to carefully selected patients cared for at high-end "center of excellence" hospitals. That's not what happened in the Philadelphia region. Large and small hospitals that were only blocks apart followed the money and quickly established TAVR programs. New York City turned out to be different. Since health systems in Manhattan seem to have a higher degree of "integration," the authors wonder if TAVR was functionally rationed. In addition, New York apparently has an aggressive "certificate of need" program for new technology. True to their academic pedigree, the authors advocate for 1) further research trials to better define the risks and benefits, 2) the creation of TAVR registry databases that are populated by long-term outcomes, 3) the participation of "expert panels" that can opine on the best use of this technology, 4) "safe harbor" regulations that promote centers of excellence and 5) helping physicians do a better job of educating patients about the risks vs. the benefits. 1) New technology is a genie that cannot be bottled. If it offers patients a new treatment option in an unfettered market, it will be rapidly adopted. The impact is not substitutive, but additive. It's Say's Law, turbocharged with Medicare financing and paid for by the U.S. taxpayer. 2) The PHB isn't sure "integration" played much of a role in New York City's slow uptake, since the Philadelphia region is likewise dominated by regional "integrated systems." More likely was the top-down regulation imposed by certificate of need. Other top-down approaches include utilization management. 3) Research, registries, panels, safe harbors and physician education are about as likely to stem the demand for TAVR as much as nicely asking 24's Jack Bauer to stop being so mean.